Mothering Sunday (or Mother’s Day) is not far away on Sunday 31st March. 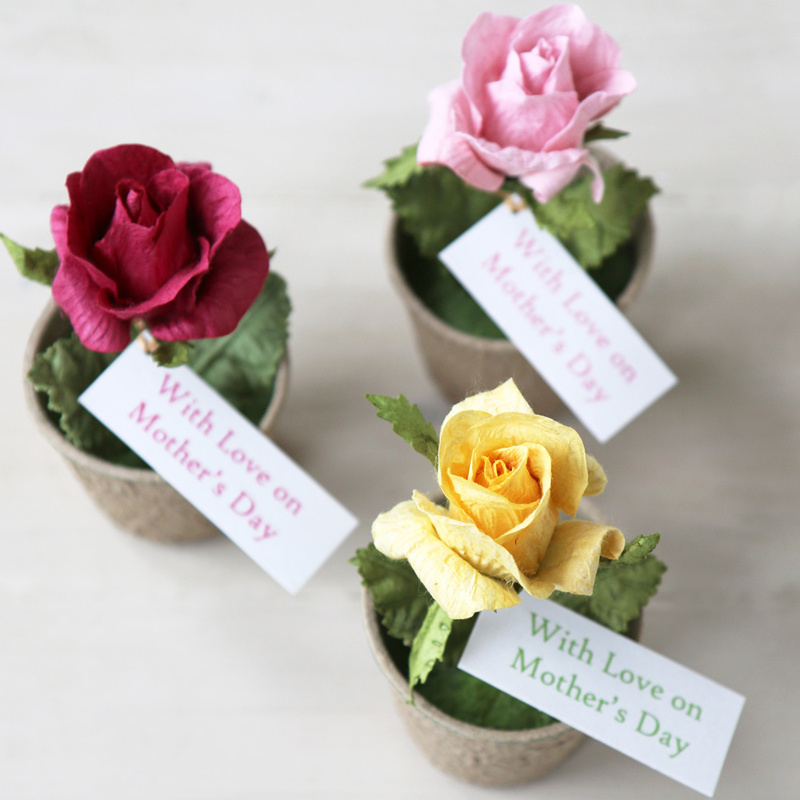 These paper roses in mini paper seedling pots make a sweet little gift. 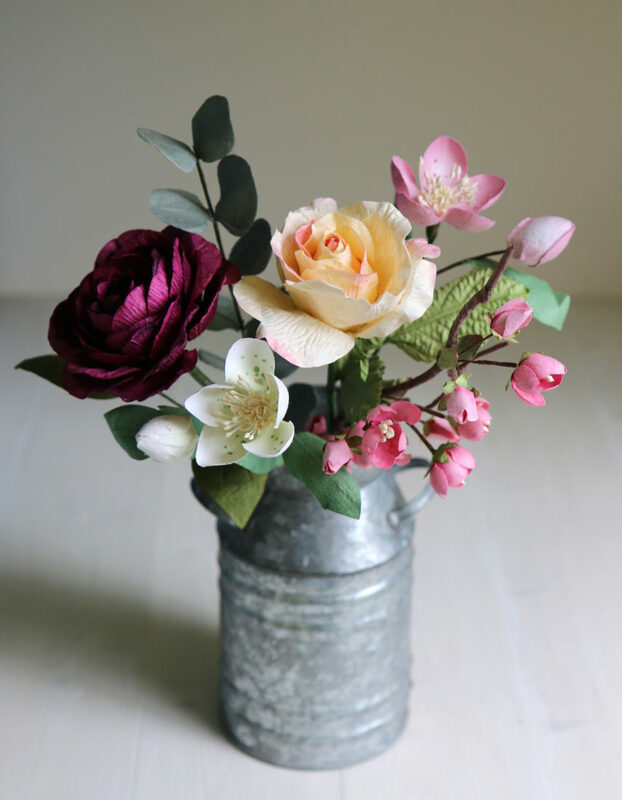 For a larger display our Spring paper flower posy is a beautiful mix of paper Blossom, Camellia, Hellebore, Eucalyptus and Rose. It comes wrapped with a paper ribbon tie & gift tag. 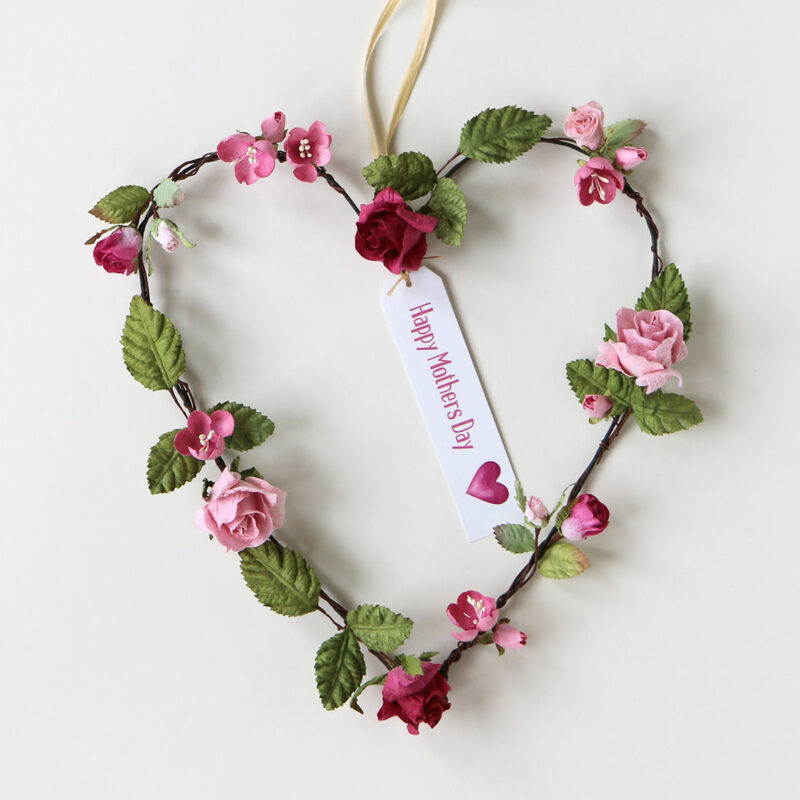 This heart wreath is made with handcrafted paper blossom and roses in pretty shades of pink. 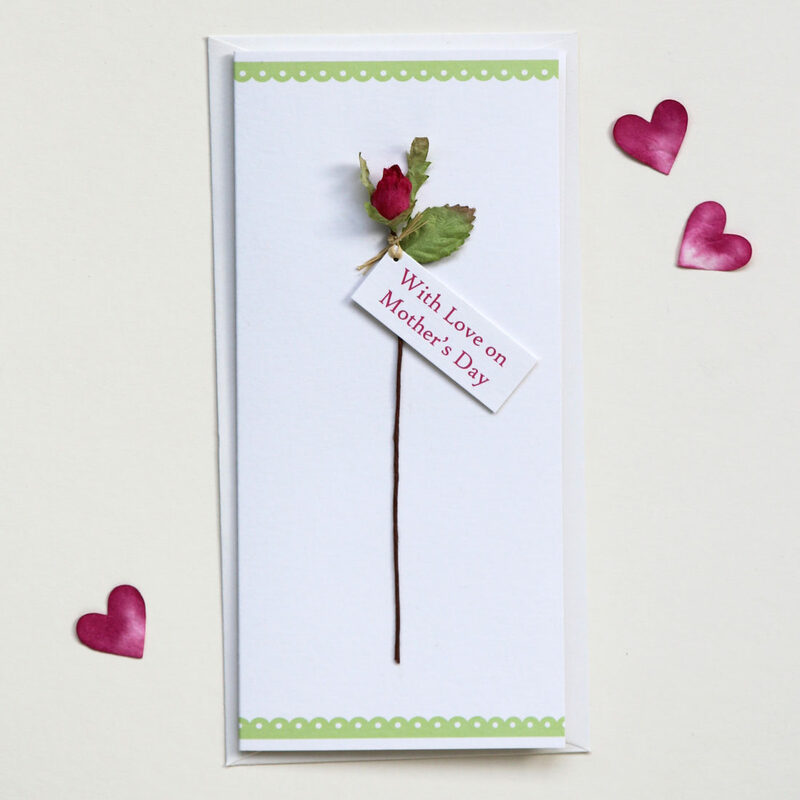 It comes with a tag reading ‘Happy Mother’s Day’ or you can personalise the tag with your own words. 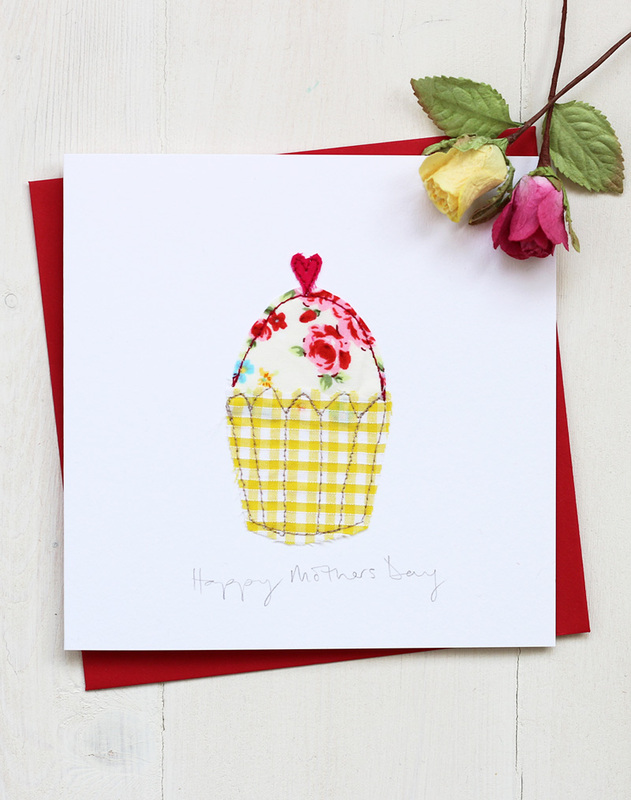 We also have a range of cards for Mother’s day, beautifully handmade with paper roses and embroidered floral designs.